South Africa is ‘a world in one country’, offering a huge variety of destinations and some of the best natural entertainment on earth, across a landmass that’s almost five times the size of Britain. Where else can you enjoy all the headline acts, like sun, adventure, culture, wildlife encounters and jaw-dropping scenery? All with no jet-lag too, as the time difference is only two hours. 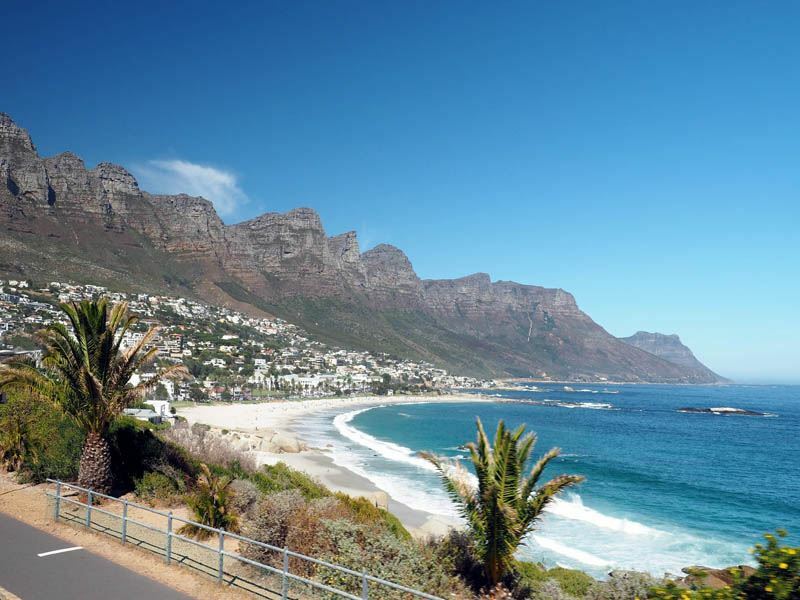 With great value stays and options for self-drive holidays, South Africa is really easy to get around due to its excellent infrastructure and the fact that English is widely spoken throughout the country. Your only problem may be deciding which combinations of places to include on your show-stopping holiday, while still leaving a little bit of time for relaxation. We recommend kicking off your fun-packed adventures in cosmopolitan Cape Town for a touch of glamour and great cuisine. Then perhaps hit the open road to discover everything from wildlife to winelands. Why not spot the Big Five on sunset game drives in Kruger National Park or sample South Africa’s finest wines in Stellenbosch? You can combine a family-friendly drive on the Garden Route with a malaria-free safari in the Eastern Cape, go whale watching at Hermanus or enjoy the thrills of Sun City. There’s more to South Africa than the thrilling scenery and wildlife though. The country’s vibrant culture shouldn’t be ignored, with great opportunities to explore the townships of Johannesburg and the historic battlefields of the KwaZulu Natal region. Each of South Africa’s nine provinces is like country within a country, providing unique opportunities across the Rainbow Nation. Book a fly-drive holiday to see more of South Africa, embark on a tour of the Winelands, explore one of the world’s best safari destinations, travel the Garden Route or experience the luxury of rail travel on board the Blue Train. With excellent air links, a vast choice of self-drives, luxury rail travel and group tours – getting around South Africa is really easy. There are so many stunning drives you can do, like Route 62, which is The Garden Route’s inland counterpart and is a glorious meander between Cape Town and Oudtshoorn. Make the most of your holiday in South Africa by reading our ultimate guide to getting around South Africa. The flight time from the UK to South Africa is approximately 11 hours, with just a two-hour time difference. 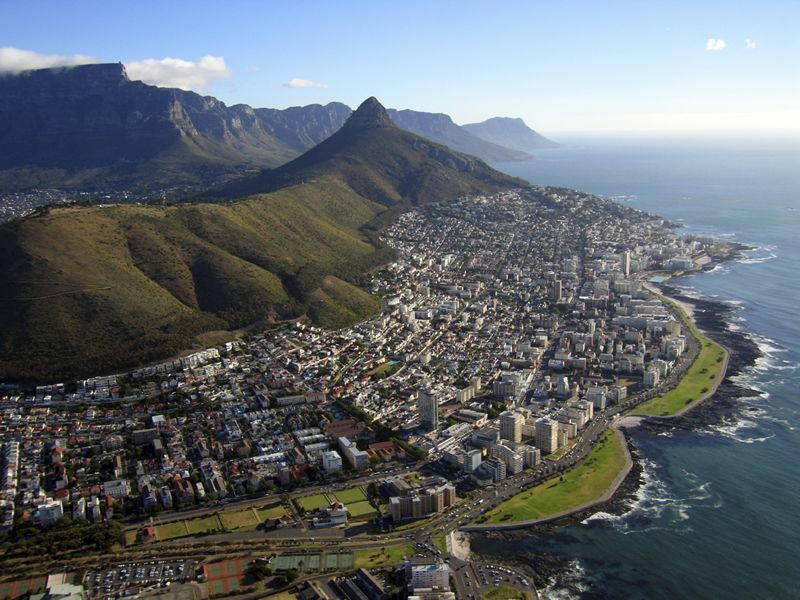 British Airways have a daily direct service to Cape Town and there are daily direct flights from Heathrow to Johannesburg with South African Airways, British Airways and Virgin Atlantic. Durban can be reached via Johannesburg or with Emirates via Dubai. If you’re looking for a beach holiday you’ll need to either fly into Cape Town from November to March, or to Durban to enjoy the subtropical Kwazulu Natal coast from April to October. 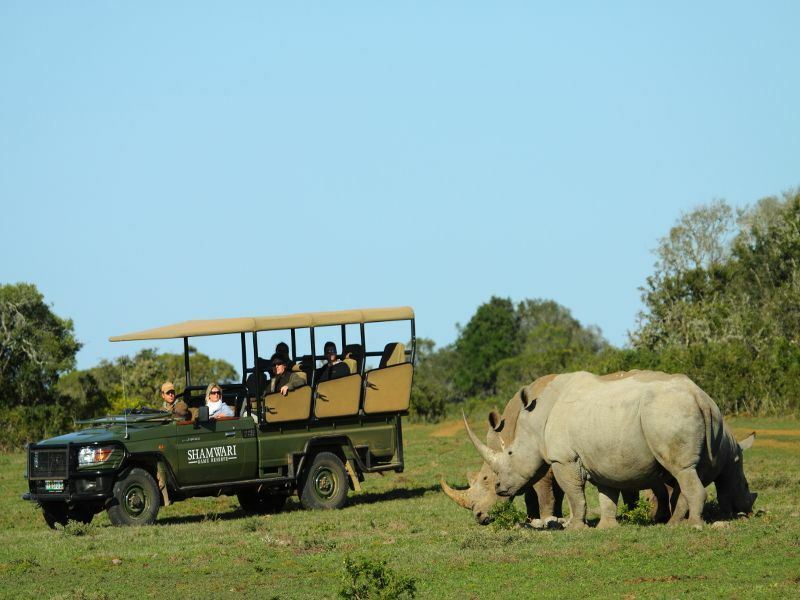 Safaris are good all year round in South Africa – it’s more about where you go than when. 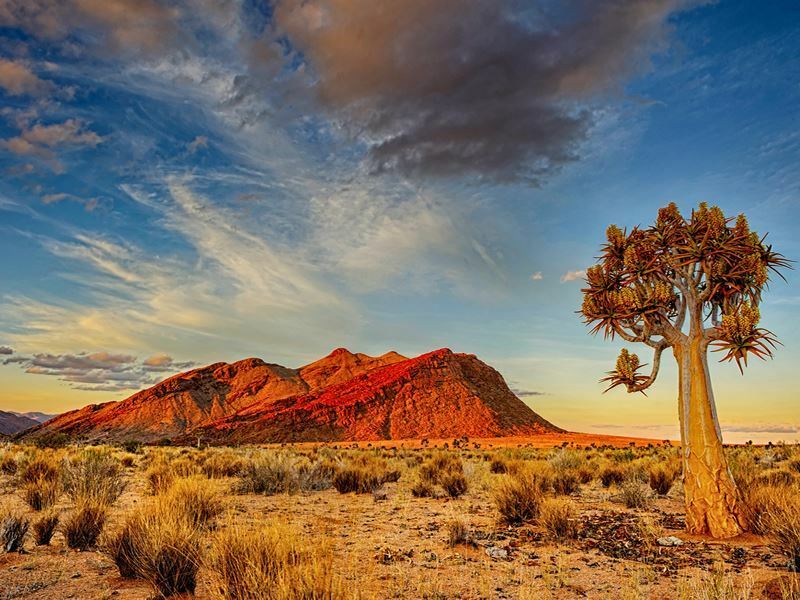 Road trips from Cape Town are also good all year round, due to the semi-arid Karoo, which makes a great contrast to the temperate Garden Route. Cape Town International Airport (CPT) is Africa’s third largest airport and a major gateway to South Africa. 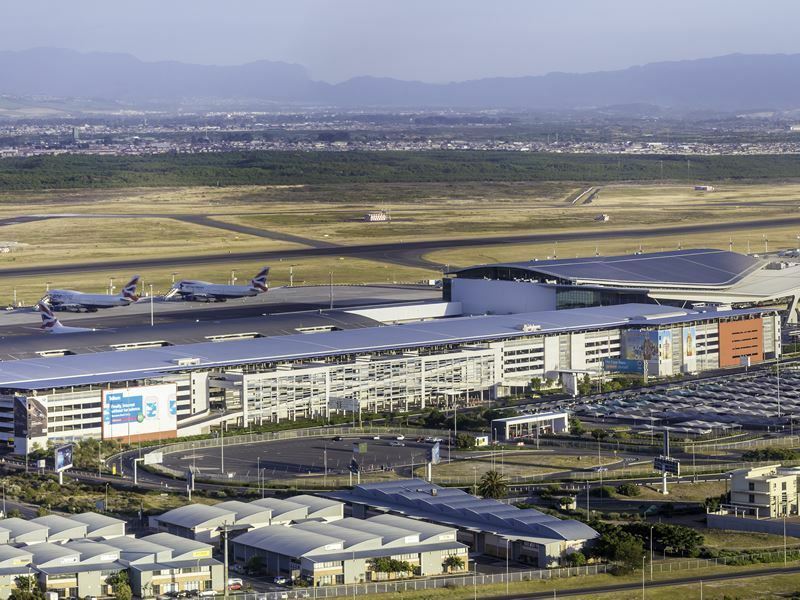 The airport lies 20 kilometres from central Cape Town and accessible from the main N2 national free, also known as Settlers Way. The roads in Cape Town are well signposted, with distances shown in kilometres. So, if you’re planning to drive yourself, you’ll be able to pick up major roads like the N2 from the airport and navigate the surrounding areas with ease. There are speed traps and cameras in many areas, so be watchful. Highways such as the N2 have a speed limit of 120 km/h and residential areas are 60 km/h. There is no direct rail service from the airport to the city, but it is easy to pick up a taxi from outside. Deciding where to go and what to see on your holiday to South Africa, can be the difficult bit. Do you want city sights and beach? Vineyards and historic battlefields? Then of course, there’s the wildlife – do you want to go in search of lions, elephants, penguins or whales? You’ll probably want to include as much as possible, especially if this is your first time in South Africa. With so much choice, what do you prioritise and what do you save for another time? There are few places on this earth that have as much diversity, but the good news is that due to the country’s excellent infrastructure, it’s easy to combine several places on your wish list and create your perfect multi-centre holiday. 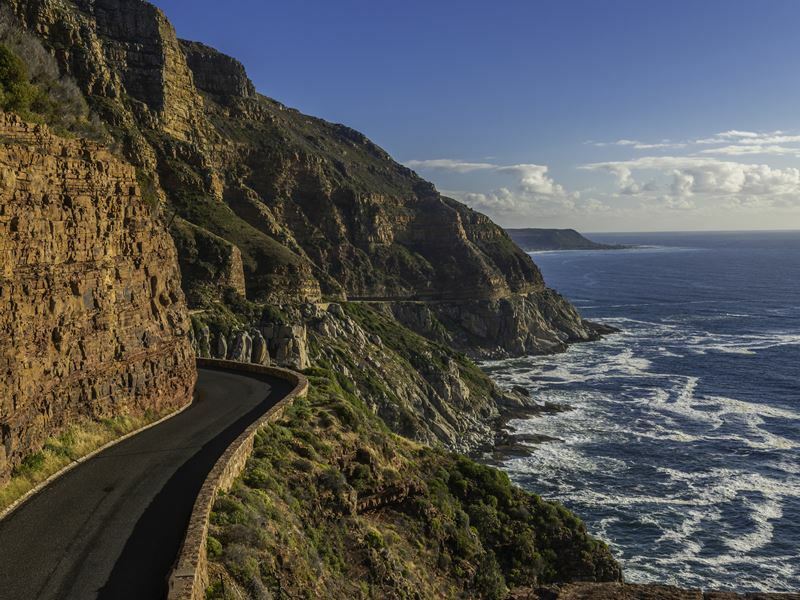 The well-maintained roads, make South Africa the perfect destination for a road trip. Take your pick from hiring a car, driving yourself or booking a scheduled or private tour to explore the stunning landscapes. If you don’t wish to drive long distances, you can fly from one major airport to another, with world-class airports, like Cape Town International Airport, Durban’s King Shaka International Airport and O.R. Tambo International Airport in Johannesburg. Spend some time in one of these major cities before continuing your adventures further afield. Take a look here for inspiration on booking a bespoke safari tour in South Africa. Let us take care of everything and leave you to sit back and enjoy all the sights, with knowledgeable tour guides to ensure you make the most from your holiday. South Africa has a wide range of national parks and game reserves across its coasts and mountain regions, all offering an incredible choice of vistas, experiences and opportunities for wild life viewing. The nearest airport to Kruger National Park is O.R. Tambo International Airport in Johannesburg. It is possible to fly direct into Kruger National Park from Johannesburg or Cape Town. The driving time from Cape Town is 24 hours. Kruger is perfect for year-round wildlife viewing. Whether you’re on a self-drive or guided tour, get your cameras and binoculars ready for an unforgettable experience. Track wildlife in a 4x4 or on foot and see the Big Five and enjoy wide open savannahs, forests, mountains and glorious sunrises and sunsets in one of the world’s greatest safari parks. Explore the open plains in the Eastern Cape’s largest private game reserve. Just a two-hour drive from Port Elizabeth on the south coast, Shamwari has Big Five game viewing and luxurious safari lodges. 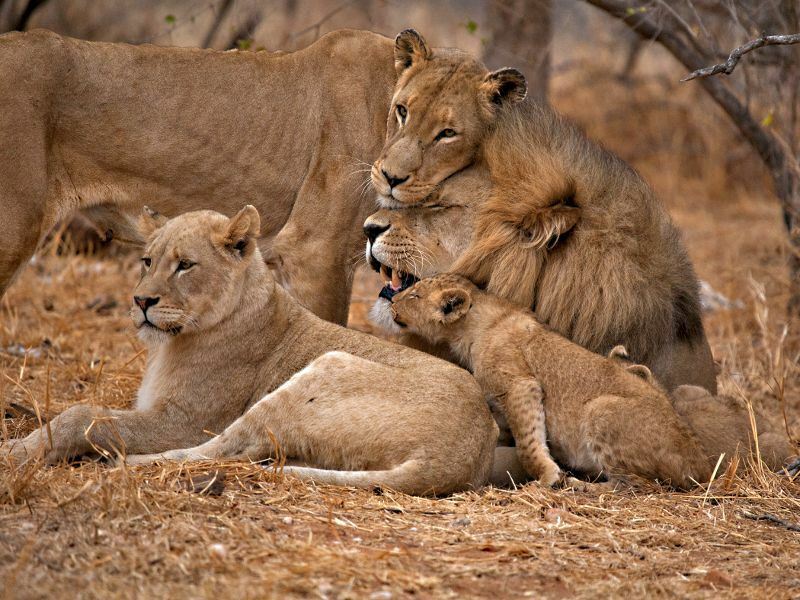 Perfect for families, with no need for malaria tablets this game reserve also includes the Born Free Big Cat Sanctuary, the Ian Player Rhino Centre and a Wildlife Rehabilitation Centre. A great choice, following a road trip along the Garden Route. 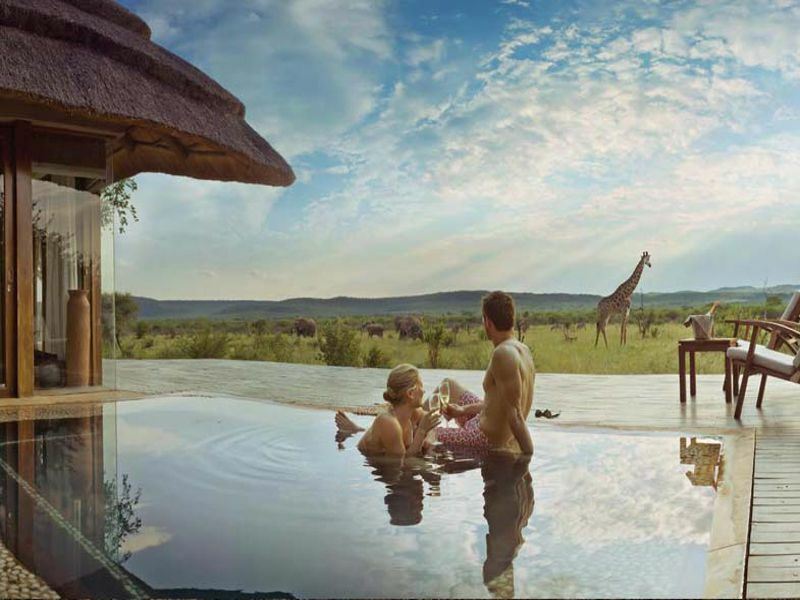 Madikwe Game Reserve lie along the border of Botswana, just three-hours drive from Johannesburg. A hidden gem when it comes to wildlife viewing, Madikwe is less crowded than many other reserves, has the largest population of elephants outside of Kruger and is one of the best places to see the endangered wild dog. Relax in luxury in this remote and welcoming reserve near the Kalahari, with its diverse ecosystems and enjoy a varying landscape of sub-tropical woodland and sandy savannah. 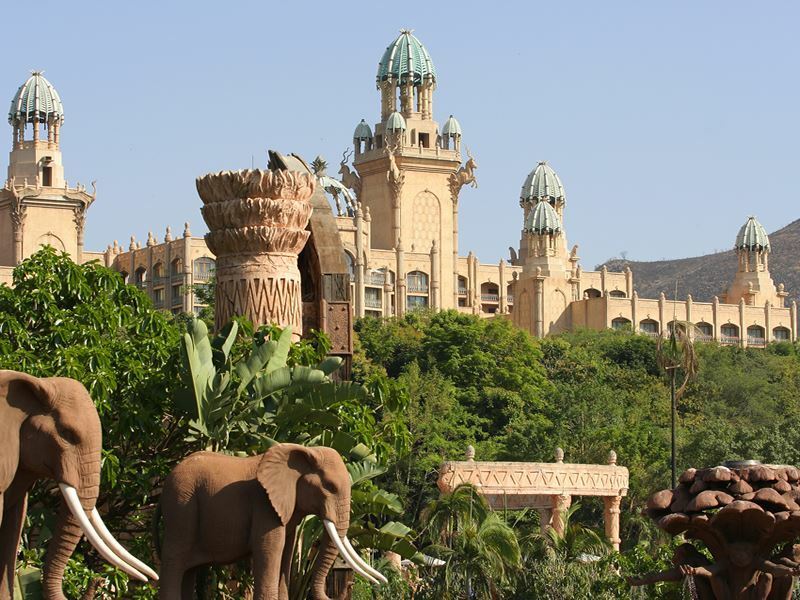 Sun City is a few hours from Johannesburg and just ten minutes from Pilanesberg National Park, so you can take in a safari while you’re in the area too. Great for adults and children the Sun City Resort is home to Valley of the Waves, for flume rides and the lazy river. Waterworld is great for water-skiing and windsurfing and you’ll also find zip-line rides, Segway safaris, golf, hot air ballooning, indoor arcades, casinos and live music performances in Sun City. There is a wide choice of hotels, restaurants and shops to suit all tastes and budgets and the scenery around Sun City is beautiful too. 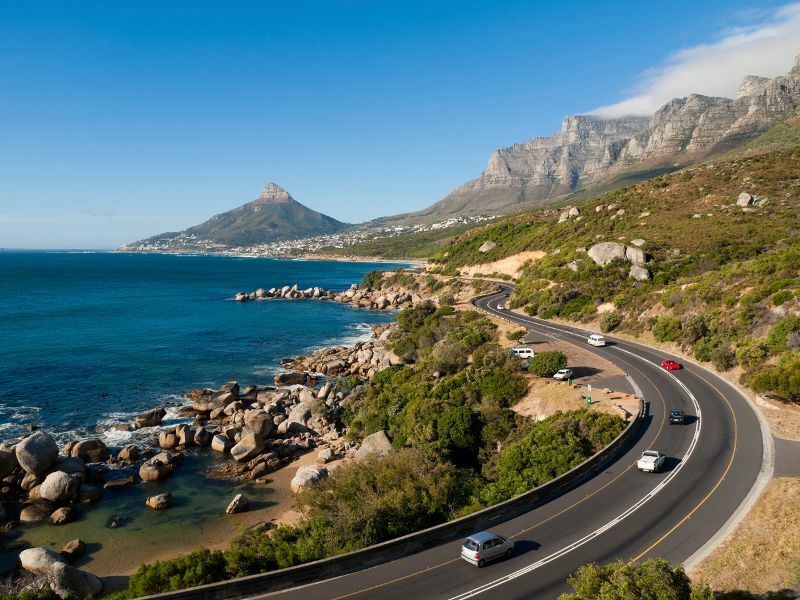 The Garden Route is one of the world’s best self-driving routes, stretching along 200 kilometres of gorgeous coastline from Mossel Bay in the west to Storms River in the east. A popular choice for anyone arriving into Cape Town, before heading to the Eastern Cape for a safari. The incredible natural beauty of this route provides a remarkably wide range of scenery, wildlife and outdoor activities. Loop through quaint seaside towns and beautiful coastline and explore the Garden Route’s key highlights: Tsitsikamma Forest, Plettenberg Bay, Knysna, George, Mossel Bay, Oudtshoorn and Hermanus. 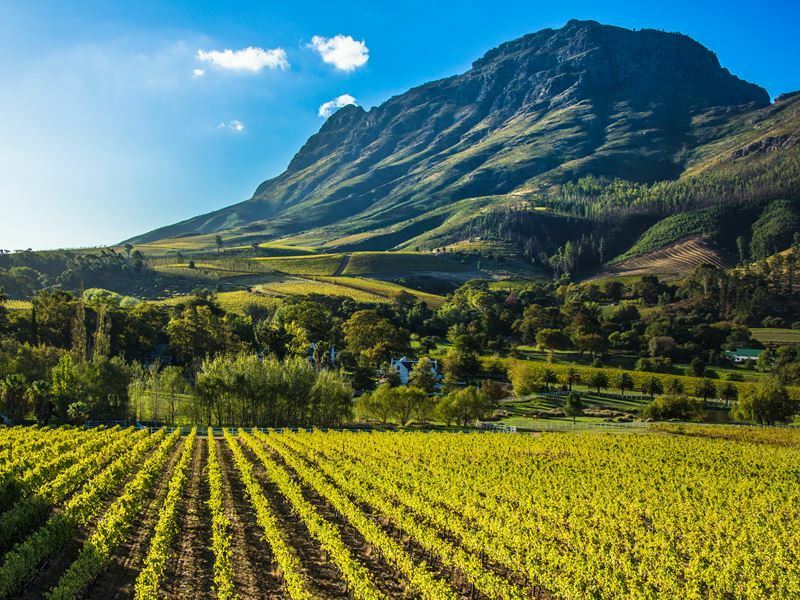 Sample legendary red Pinotage wines in the Cape Winelands and tour the top wine estates of Stellenbosch – the oldest town in South Africa, the quaint and pretty town of Franschhoek and historic Paarl, where you can also taste craft beer and chocolate. Each one has a different atmosphere and even if you don’t like wine, the rolling hills and mountain backdrops to the green vineyards are unmissable. The Cape Winelands are only an hour from Cape Town, so you can drive yourself there easily. However, with all that lovely wine to taste, it’s worth doing a tour and getting someone to do the driving! Enjoy fine wines and cheese and soak up the scenery. Hop on the Franschhoek Wine Tram and travel through rolling countryside, stopping off at different vineyards en route for wine tasting and cellar tours. As well as wine, the region is the culinary capital of South Africa, with fine dining restaurants. For a real taste of South Africa, try and spend at least two nights in the Cape winelands.